Did you try to log out and log in again? Or tried it on different account? It must be some kind of a bug because for me it is working fine. What happend if you try to press on back or on proceed? Otherwhise you also could try to use an alternate browser. Itried an other browser, but it doesn't work too. 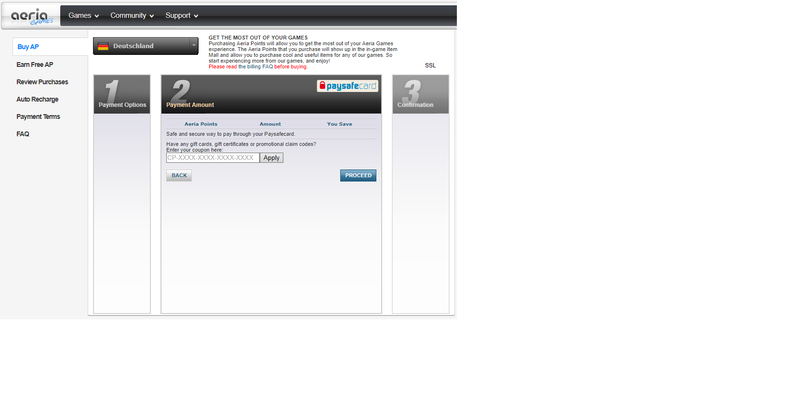 If i press back, i see the payment method, and if i press proceed nothing change. i stick in these picture. i got an answer from Support "
Unfortunately, there are currently problems with Paysafecard payments. Unfortunately we can not tell you how fast the problem can be solved. As long as the problem is not solved, we recommend you to use one of the other payment options. We thank you for your understanding and apologize for any inconvenience. What happens if you choose another country/currency?